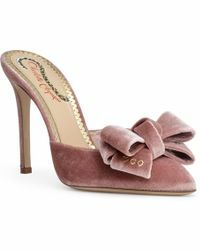 It girl and shoemaker Charlotte Dellal launched her footwear label, Charlotte Olympia, in 2006. 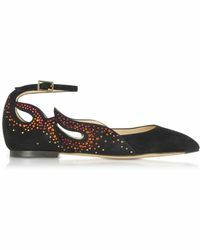 Heavily influenced by the old Hollywood glamour of the forties and fifties, Charlotte Olympia creates sumptuous shoes with a classic silhouette. 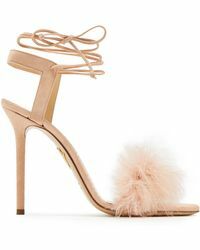 Soaring to success and popular with style icons such as Kate Moss, the brand is renowned worldwide, identifiable by its gold-toned spider on the sole of each pair. Known for its platform heel and whimsical aesthetic, Olympia has expanded to offer accessories and bags as part of its mix. 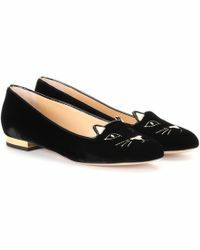 Key silhouettes include the Love Me pumps, Dora clutch and Kitty flats. 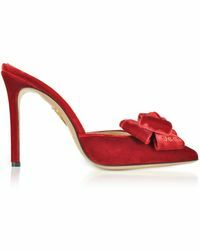 Browse and shop the full range of Women's Charlotte Olympia Shoes, Charlotte Olympia Accessories and Charlotte Olympia Handbags.